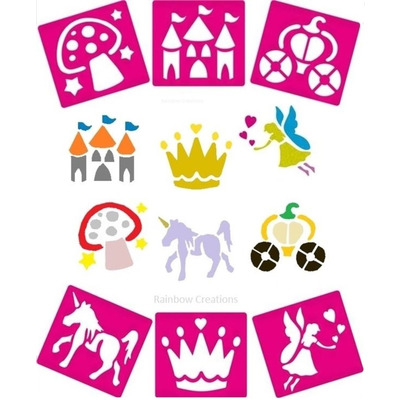 Washable stencils with a fairy theme for children's art and craft activities or for decorating a child's fairy themed bedroom. 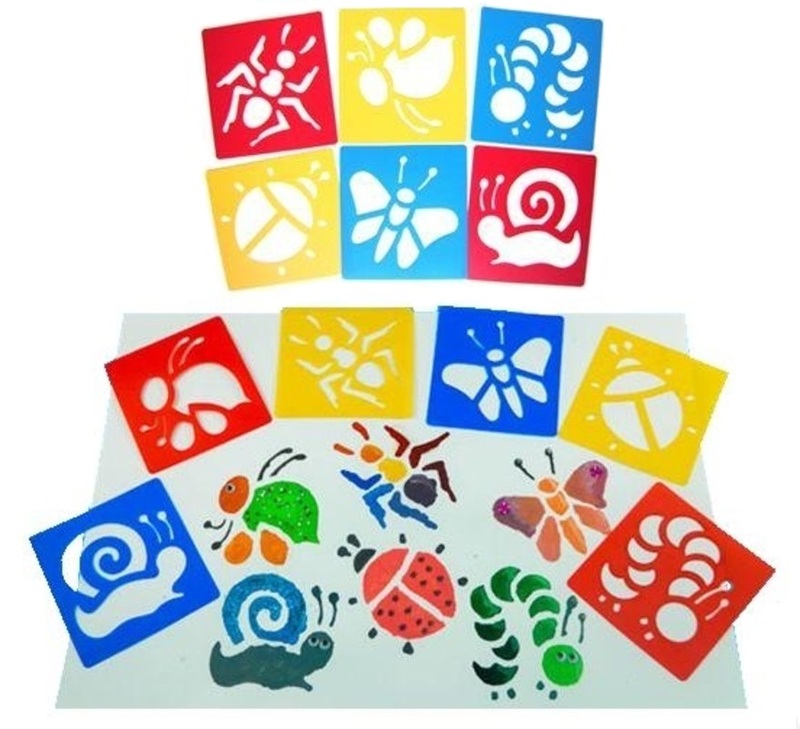 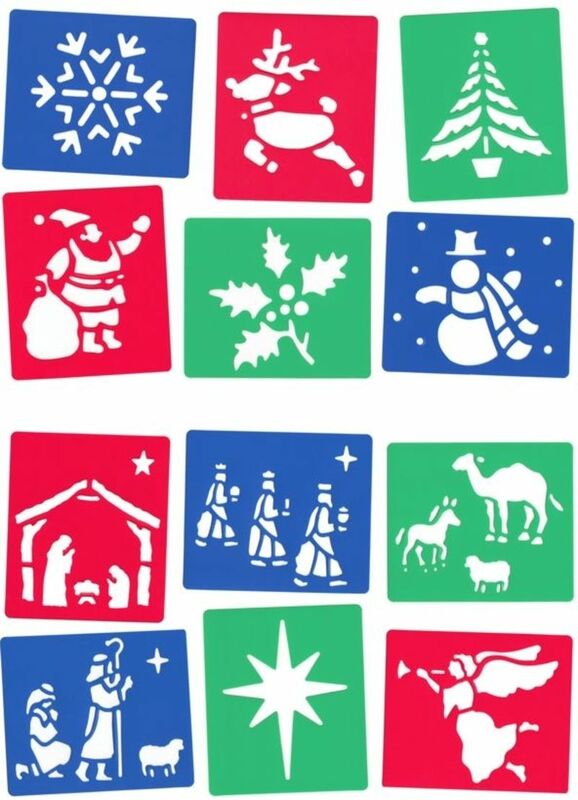 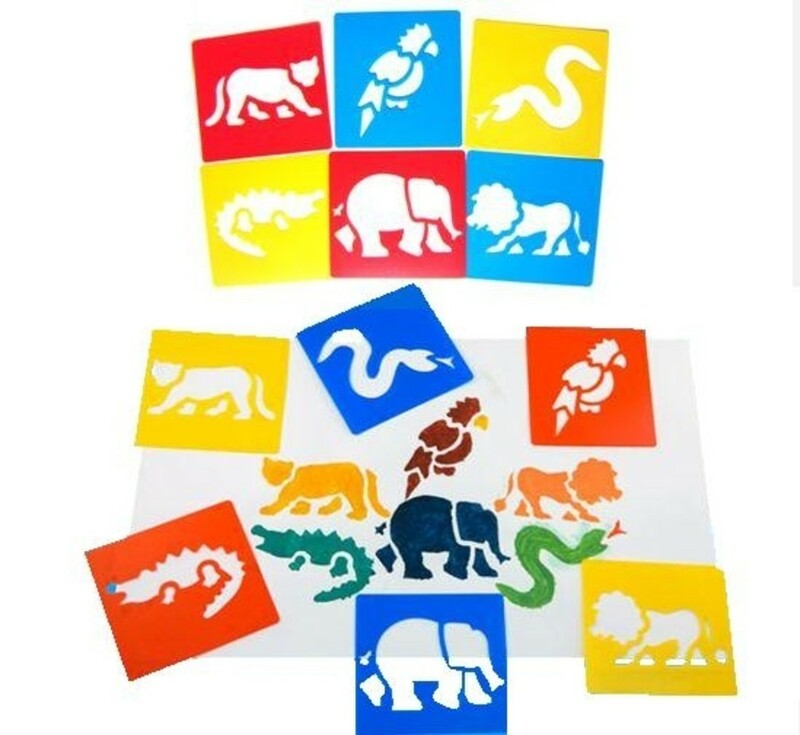 These plastic stencils are very easy to use as paint can be applied over the whole design over and over again without the stencil spoiling. 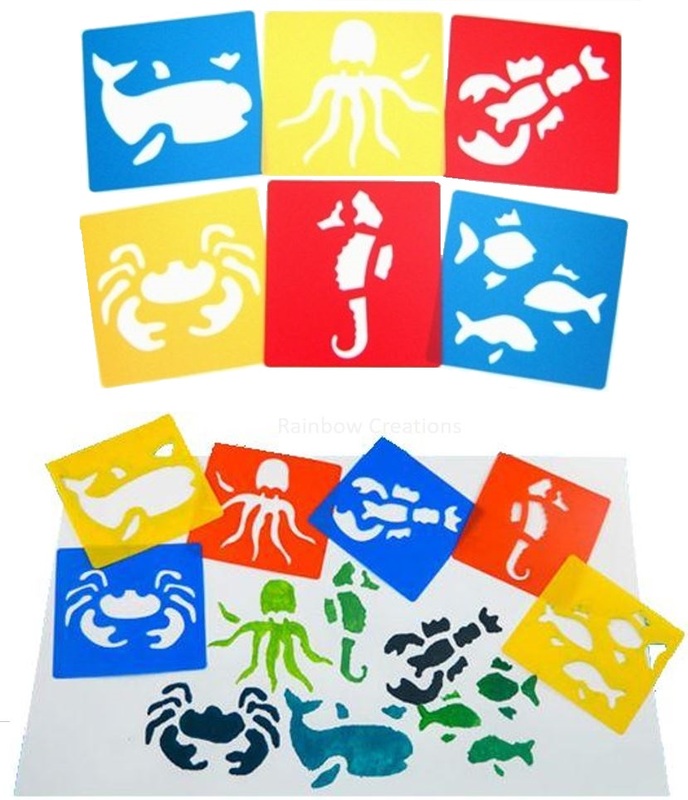 Each stencil in the pack is different. 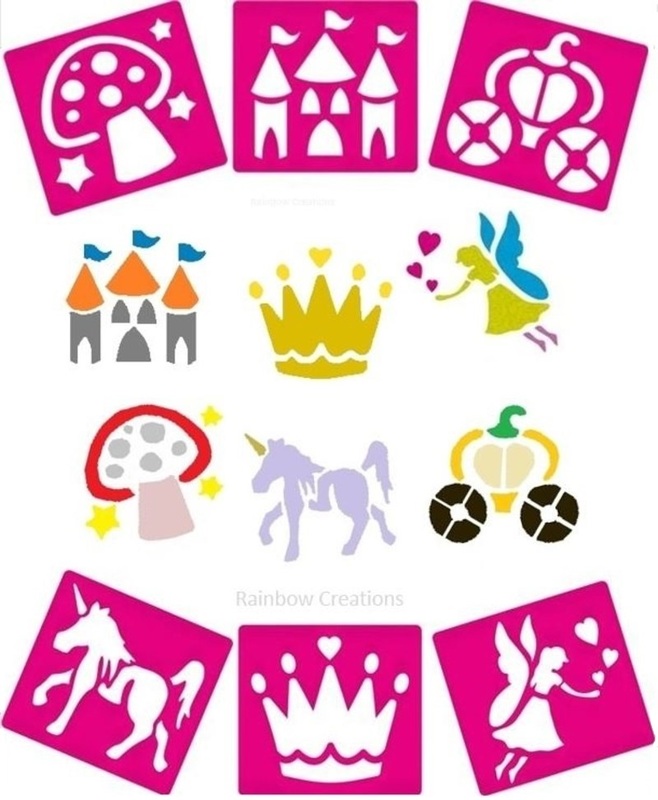 The 6 designs include a fairy stencil, a castle stencil, a carriage stencil, a castle stencil, a crown stencil and a unicorn stencil.